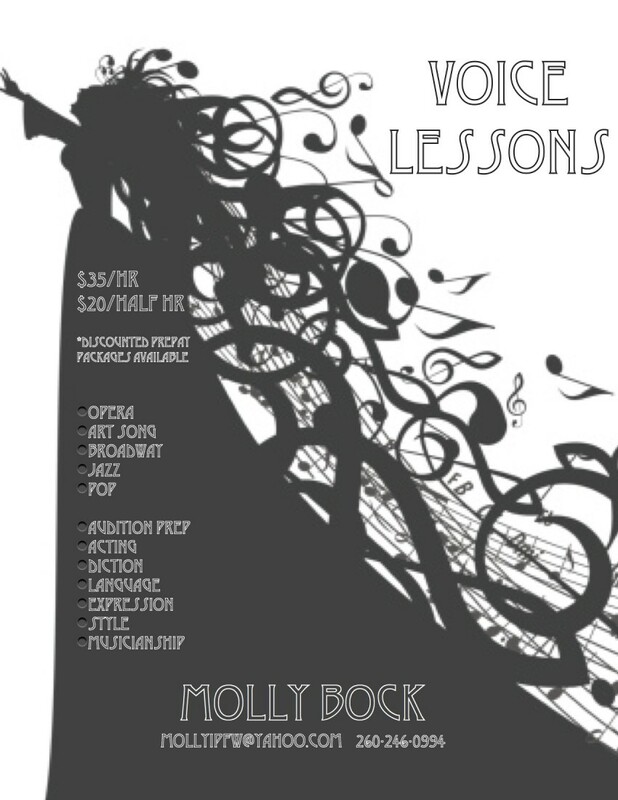 Molly Bock is a mezzo- soprano currently singing with Michigan Opera Theatre and Toledo Opera. She has a masters in vocal performance and currently runs a private vocal studio. She has performance, directing, and teaching experience in opera, musical theatre, jazz, choral, art song, lieder, sacred, and contemporary music.